In the center of the Pacific Ocean gyre, researchers are finding more plastic than plankton. A Plastic Ocean documents the newest science, proving how plastics, once they enter the oceans, break up into small particulates that enter the food chain where they attract toxins like a magnet. These toxins are stored in seafood’s fatty tissues, and eventually consumed by us. A Plastic Ocean explores the fragile state of our oceans and the consequences of our disposable lifestyle. 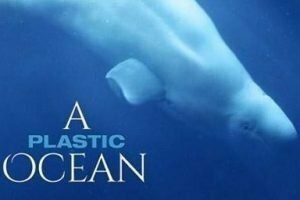 The film also offers hopeful ideas, based on new technology and on policy changes, for reducing single-use plastics and keeping plastic out of the environment, in order to restore the health of our oceans and marine life. Doors open at 6 p.m. for refreshments and fellowship. After the film we’ll discuss our role in causing plastic pollution and what we can do to address the problem. Admission is free; donations accepted. This is the last of a three-week series, “Protecting Our Waters: A Spring Faith & Ecology Film Series.” Look for our fall series in October.